The Twilight Sad are an indie rock band from Kilsyth, Scotland, comprising James Graham (vocals), Andy MacFarlane (guitar), and Mark Devine (drums). The band are currently signed to Fat Cat Records and have released three full-length albums, as well as several EPs and singles. Their 2007 debut album, Fourteen Autumns & Fifteen Winters, drew widespread acclaim from critics, who noted Graham's thick Scottish accent and MacFarlane's dense sonic walls of shoegazing guitar and wheezing accordion. The Twilight Sad's notoriously loud live performances have been described as "completely ear-splitting," and the band toured for the album across Europe and the United States throughout 2007 and 2008. Sessions inspired by stripped-down and reworked live performances yielded the 2008 mini-album, Here, It Never Snowed. Afterwards It Did. Their second album, Forget the Night Ahead, marked a shift in the band's direction; lyrically more personal and musically darker and more streamlined, it was released in 2009 to further acclaim. Recording sessions for the album also produced the mid-2010 release The Wrong Car, which followed the departure of founding bassist Craig Orzel in February 2010. 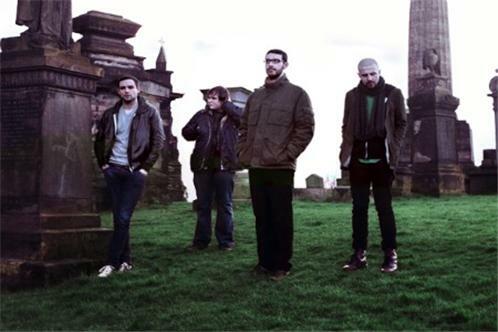 The Twilight Sad's third album, No One Can Ever Know, was released in February 2012 and marked another stylistic shift, with the band citing industrial music and krautrock influences for a darker, sparser sound. The band describes their sound as "folk with layers of noise," and music critics have described the band as "perennially unhappy" and "a band that inject some real emotion and dynamic excitement into a comparatively standard template."